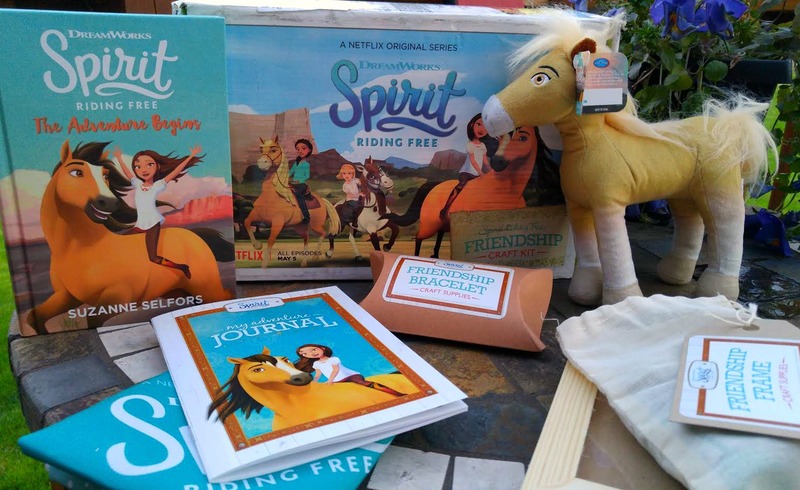 One Momma Saving Money: Spirit Riding Free a new Netflix series airs on May 5th! #SpiritRidingFree WiCheck out the trailer and some free fun craft and activity pages! 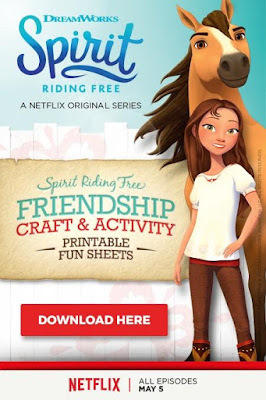 Spirit Riding Free a new Netflix series airs on May 5th! #SpiritRidingFree WiCheck out the trailer and some free fun craft and activity pages! It’s time to “saddle up” for the premiere of DreamWorks Animation’s newest original series Spirit Riding Free, available exclusively on Netflix on Friday, May 5. The series, inspired by the Oscar®-nominated film Spirit: Stallion of the Cimarron, follows the heartfelt journey of a gutsy 12-year-old girl named Lucky who befriends a wild mustang whom she aptly names Spirit. With her two best friends (and their horses) by her side, Lucky and her friends explore a world filled with endless rides, magnificent horses and and never ending fun! Together they’ll push their own limits, harness the power of friendship and discover what it truly means to be free. With these fun activities, your daughter and her BFF can braid their own leather friendship bracelets, create a fun memory picture frame and more! Each episode of Spirit Riding Free will be filled with frontier adventures and fun -- from inclement weather like flash floods and blizzards, to human malfeasance from train robbers and banditos, to kid-centric capers like treasure hunts and secret sleepovers. And some stories will even be told from the horses’ point of view! Even the most action-packed episodes will be grounded in the emotional realities of being a kid -- stories that will resonate with any kid, anywhere, in any era, whether they go to a one-room country school house or a mega modern high school; stories about fitting in, finding your place, figuring out who you are and who you want to be, and all the other weird, wonderful, alarming, and amazing parts of growing up. Thanks to the great people from Netflix and Dreamworks for sending me this fun pack. In a small Western town, spunky ex-city girl Lucky forms a tight bond with wild horse Spirit while having adventures with best pals Pru and Abigail. The episodes are about 23 minutes each, so not too long and perfect for binge watching on a rain cold day! This series is family friendly and even if the kids are not familiar with the original Spirit movie, they will still enjoy this series! This series has great lessons about determination and perseverance, it touches on friendship, meeting new people and so much more.